Open up this letterbox with carry handle to reveal a fully-stocked post office that your child will love. 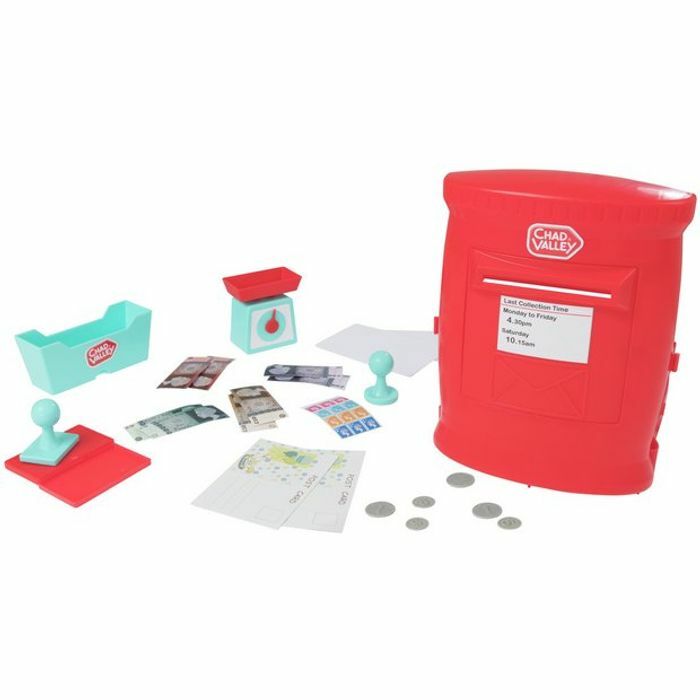 Realistic weighing scales and a cash drawer will let them carry out their own transactions: they can even 'post' their own packages with realistic stamps and an ink pad! Who doesn't like posting letters. Will have a look to see if it's in stock near me.